Back when most of the other studios were still getting their heads around the new "talkie" phenomenon, Universal had a bright idea. They created and packaged a whole stable of monsters, catering to the public's inherent need for thrills and chills. A few of these pictures are masterpieces, several more are quite good, but many more were mere quickies, tossed off with not much consideration for quality. Nevertheless taken pound for pound, Dracula, Frankenstein's monster and the Wolf Man are among the most famous movie faces worldwide to this day. As several of their previous DVDs have gone out of print, Universal has now packaged fourteen of these classic monster films into three box sets: Dracula: The Legacy Collection, Frankenstein: The Legacy Collection and The Wolf Man: The Legacy Collection. Dracula is my favorite of the monsters, perhaps because of his style. He's the least animalistic and vulgar, and the most likely to get invited to a swanky dinner party. No one has ever come close to matching Bela Lugosi's portrayal of the ultimate vampire. He had those beady eyes, those creepy long hands, the accent, a lot of class and a slight hint of camp. Thankfully director Tod Browning cast him instead of Lon Chaney, whom Browning had worked with extensively and had originally envisioned in the role. 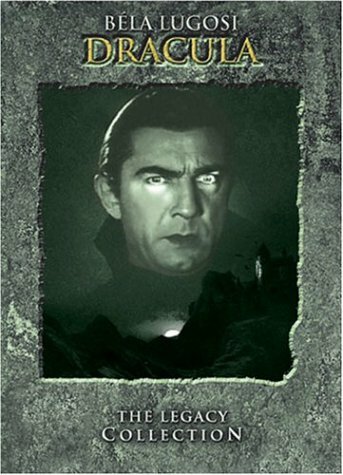 Unfortunately Bela Lugosi never played Dracula again until Abbott and Costello Meet Frankenstein (1948) -- which is not available in this box set. Despite his obvious appeal, he often got stuck with supporting parts in Universal's films and in lead parts in horrid little cheapies. And frankly, every subsequent Dracula film ever made suffers from his not being in it. The original 1931 Dracula may feel a little stodgy, but that's only because it's based more on the 1920s stage play than on the Bram Stoker novel. Browning still makes spectacular use of space and time, using long silences to establish creepy atmosphere. And Philip Glass's 1992 score -- a second audio option on the DVD -- fills in those silences nicely without compromising their original intent. The disc allows the viewer to switch between Browning's soundtrack, the Glass score and a new commentary track by David J. Skal. As a bonus, the disc also comes with the alternate 1931 Spanish Dracula directed by George Melford. Using the same script and sets but shot mostly at night when the day crew was off, Melford's version runs quite a bit longer than Browning's, but it's richer and sexier, due to the more revealing costumes. Unfortunately, Carlos Villar, who plays the Spanish Dracula, severely lacks Lugosi's charisma. He comes across as rather laughable. One major problem: the movie only comes with the "hearing impaired" English subtitles, complete with "sound effects," rather than a simple, straightforward English translation. As for the box set's other bonus films, Dracula's Daughter (1936) is actually very good. Picking up right where Dracula leaves off, Van Helsing (Edward Van Sloan) is arrested at the scene of the crime, having just driven a stake through the vampire's heart. Dracula's "daughter" (Gloria Holden) longs to be cured of her vampirism and has a creepy assistant ably played by Irving Pichel. Holden is one potent vampire with plenty of odd screen presence, complete with a strange little lisp. She even manages to repeat Lugosi's signature line, "I never drink... wine" without arousing snickering. Son of Dracula (1943) benefits from a first-class director, German expatriate Robert Siodmak on his first American film. Siodmak would go on to direct many great, films noir like The Strange Affair of Uncle Harry and The Killers. Son of Dracula suffers from too much talky dialogue and not enough action, and Lon Chaney Jr. is too down-home, aw-shucks to play the vampire -- who appears in disguise as Dr. Alucard ("Dracula" spelled backwards). But Siodmak gives the movie some serious atmosphere, especially in the exteriors set in the boggy woods. Finally, House of Dracula (1945) is really a sequel to House of Frankenstein, (featured on the Frankenstein box) and the two should be viewed in order. John Carradine turns up as Dracula, and he's only slightly better than Chaney. But this is one silly movie. It's mostly about the Wolf Man (Chaney) looking for a cure. Of the fourteen films contained in these three box sets, the Frankenstein box contains the best one: Bride of Frankenstein (1935). After the success of the original 1931 film, director James Whale convinced the studio to let him make the sequel his way, with a sophisticated yet smarmy sense of humor. The film benefits not only from the presence of Boris Karloff as the monster and Elsa Lanchester as the bride, but also from Colin Clive as the mad doctor and Una O'Connor as the town busybody, who always comes up with a delightful look of shock whenever she's offended. This film seems absolutely ageless and is just as capable of winning new audiences today as it was back then. Of course, the 1931 original is nothing to sneeze at. Whale gave it a touching, almost childlike humanity that made audiences almost identify with the monster. Frankenstein came a few months after Dracula, and the studio was originally interested in having Lugosi play the monster. But Lugosi turned it down, claiming that it took no acting talent to play a grunting, shambling beast. Karloff returned for the third film in the series, even though Whale had moved on to other things. 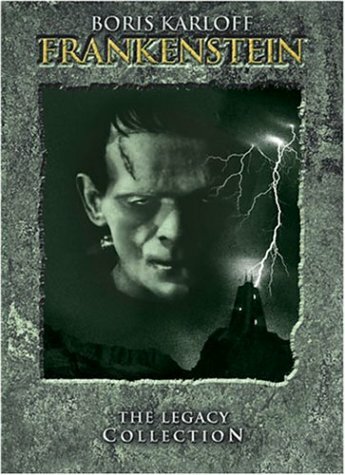 Son of Frankenstein (1939) is actually very entertaining and retains much of the humor from the first two films. Fans of Mel Brooks will notice many elements in this film inspiring Young Frankenstein (1974). Lugosi also turns up here, giving a very fine supporting performance as Ygor, the assistant with the twisted, broken neck. Descended from the most fastidious and intricate of silent film actors, Lon Chaney Jr. was a surprisingly warm and down-home actor with lots of aw-shucks appeal. Wearing his heart on his sleeve, he was very good at showing inner torment -- such as that of a man who changes into a wolf by night. Chaney's big break, The Wolf Man (1941) ultimately lacked the vision of more inventive filmmakers like Browning or Whale; he was saddled with the studio director George Waggner. Still, it's a good, solid film, held together by Chaney's appealing performance and great supporting players like Lugosi as Bela the gypsy who turns into a wolf, Maria Ouspenskaya as Bela's mother, and Ralph Bellamy (who had just finished His Girl Friday) as one of his usual milquetoasts. 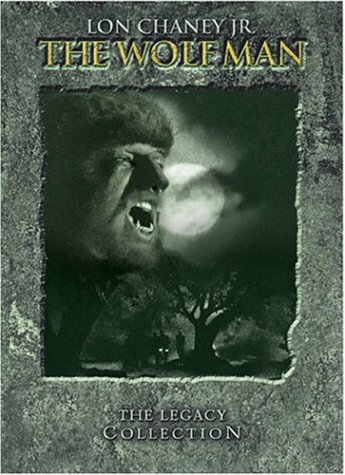 The Wolf Man has the best commentary track in the series, by Tom Weaver, who actually sounds like he's enjoying himself. The other three are all too dry and rigid. The Wolf Man's bonus features do not fare as well as those of Dracula and Frankenstein. The first sequel, Frankenstein Meets the Wolf Man (1943) starts off well, but bogs down when Lawrence Talbot (Chaney) tries to find a cure for his lycanthropy by tracking down Dr. Frankenstein's records. Lugosi plays the Frankenstein monster in one of history's most infamous cases of miscasting. It feels horribly pathetic after Lugosi turned down the role a dozen years earlier. Werewolf of London (1935) was an early attempt by Universal to cash in on the hairy monster, but as played by Henry Hull, the film just didn't catch on. The plot has Hull hunting for a cure by means of a rare flower found only in Tibet. The monster isn't animal enough; when he goes out for his nightly kill, he pauses to put on his hat and coat! She-Wolf of London (1946), however, is the dullest of all. June Lockhart thinks she's a werewolf, but she's not. Chaney handled the werewolf's torment with consummate style, but Lockhart merely sinks into the wallpaper. The movie doesn't even show the monster. This was one of Universal's last attempts to be serious before they began teaming the monsters with Abbott and Costello. The overall quality of the films is excellent, but these box sets have a few small problems. Universal is shamelessly using them to promote its horrible big summer movie Van Helsing, and so hack director Stephen Sommers (The Mummy) keeps popping up to talk about how these old movies inspired him. Hopefully these box sets will remain a staple of any DVD library, and so a year from now those segments are going to look ridiculous. Die hard fans who wish to buy all three box sets in one package can pick up The Complete Legacy Collection (2004) which comes with hand-cast busts of all three monsters.